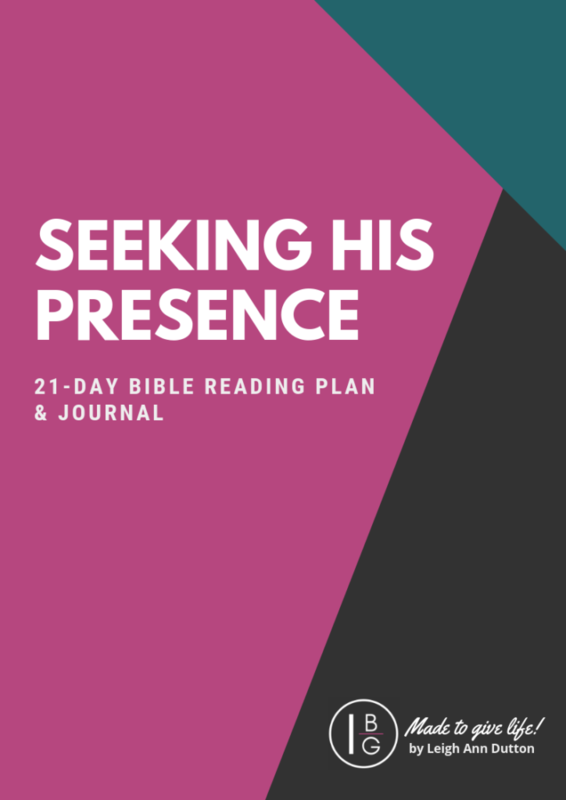 What does it mean to Seek His Presence? 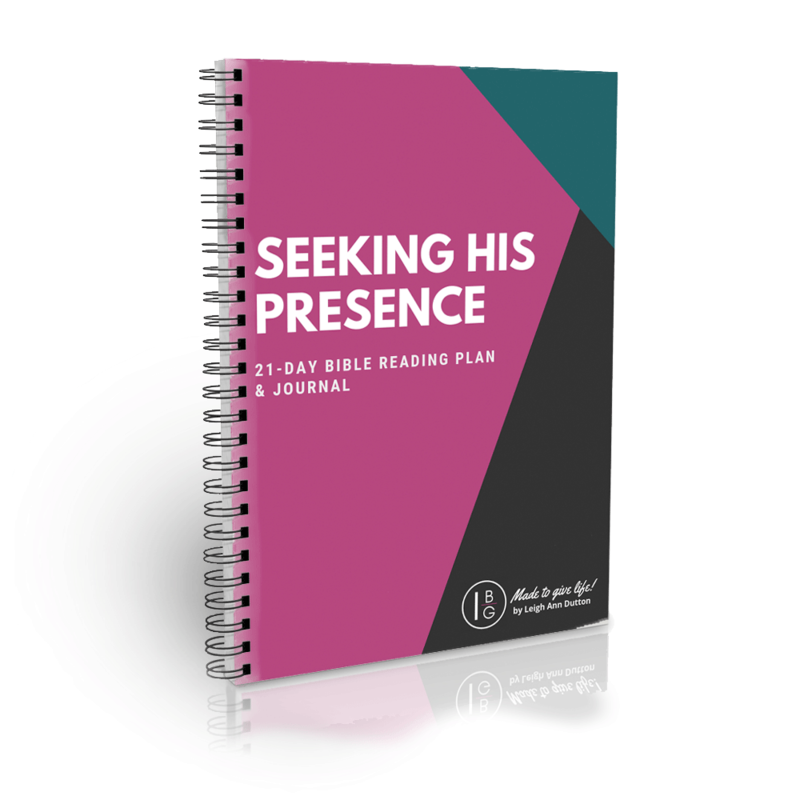 Download this FREE topical Bible reading plan and spend 21 days meditating on Seeking His Presence! Jesus often withdrew to lonely places to get alone with His Father. Jesus lived His days face-to-face with the Father, seeking His presence, renewing His strength, and receiving instructions for His ministry. The Scriptures tell us that Jesus only did what His Father in Heaven told Him to do (John 15:15). In our productivity-driven society, it’s so easy to get caught up in the doing and forget that the Christian life is about abiding in Christ. Everything we do must flow from the indwelling Spirit within us. This is why withdrawing to lonely places and seeking the presence of the Lord is so important. For it is in His presence we find strength. It is in His presence we are renewed. It is in His presence we are fully satisfied. It is from His presence that we can with unveiled faces live out afresh our calling and purpose. I can tell you that Satan loves nothing more than for God’s people to get so distracted that they don’t seek the presence of the One who made them. Satan’s goal is to steal the seed of faith planted in you and keep you from the presence of the Lord. Are you allowing Satan to keep you from seeking God’s Presence? At the time of this writing, we are entering the month of December, and among the hustle and bustle of the holiday season, it would be easy to let seeking of His presence slide from your days. But I would submit that this is the best time to practice silence and solitude. Silence and solitude are a spiritual discipline. This means it doesn’t come naturally for us to slow down and seek the presence of God. However, God is looking for people who will live face-to-face with him (Psalm 11:4-7). The best way to grow in discipline is to grow in wisdom, and we grow in wisdom as we study God’s Word and apply it in our lives. 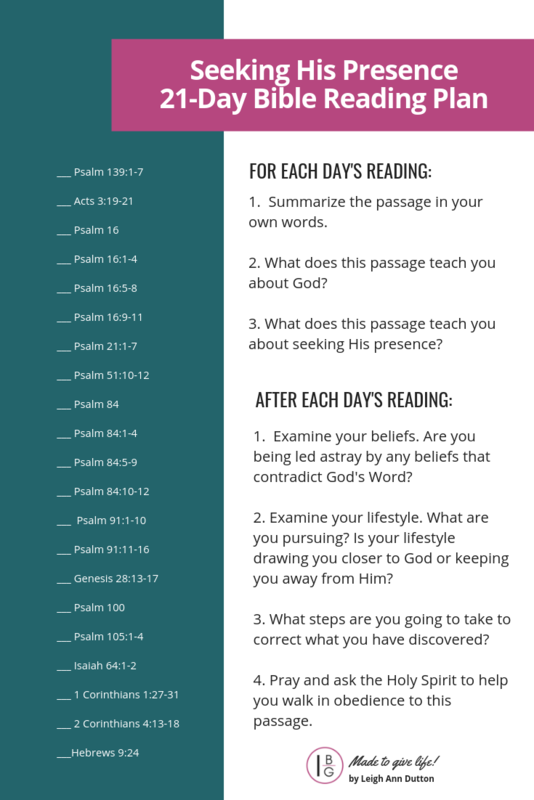 I have put together a 21-Day Bible Reading Plan that will guide you through various Scriptures that are all tied to seeking the Lord’s presence. 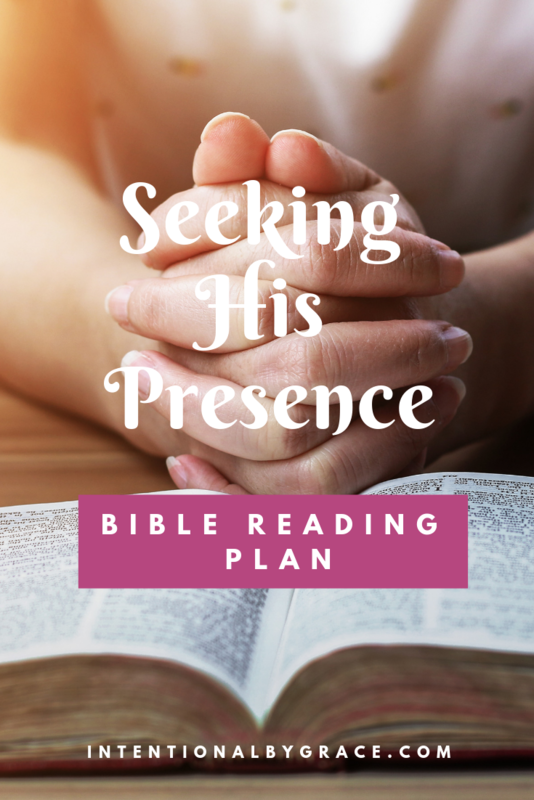 Use this Bible reading plan to learn what it means to seek God’s presence. Take time to go into your secret place (Matthew 6:6), and position yourself to hear from God as you sit in His presence. 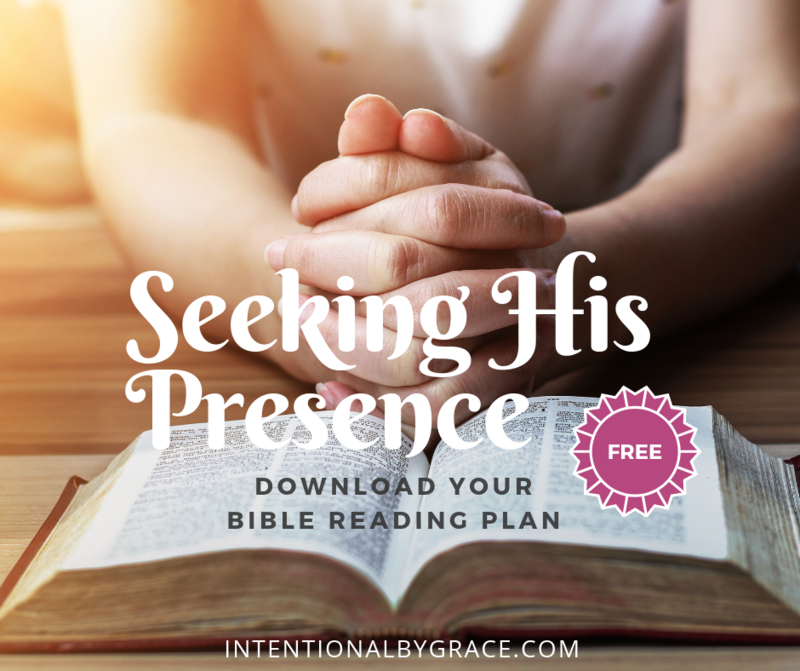 To download your FREE Seeking His Presence Bible Reading Plan, enter your email address below and we’ll send it right over. 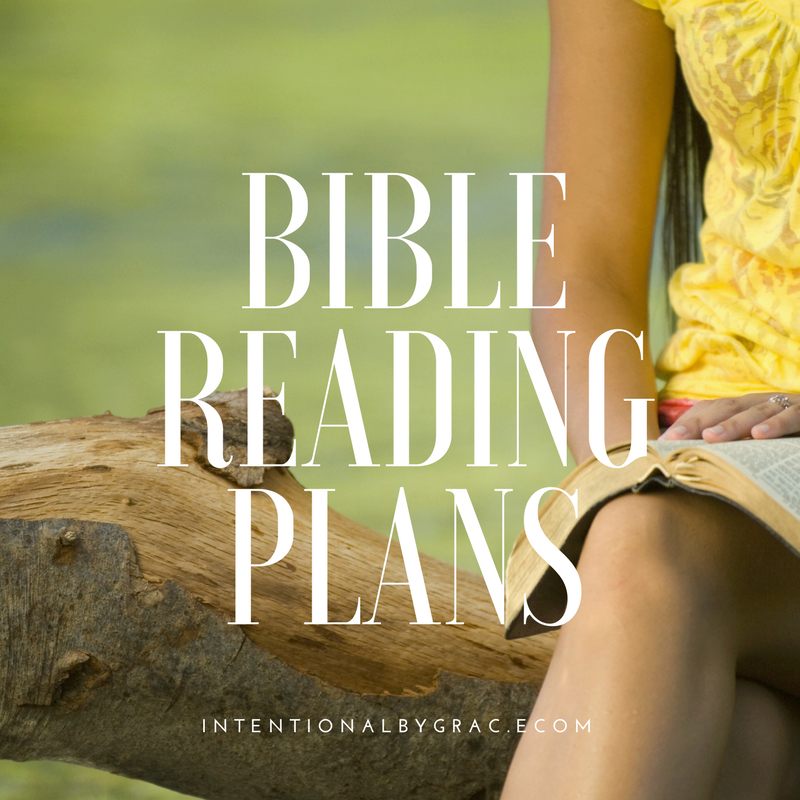 Plus you’ll receive access to ALL of our Bible reading plans (which is proving to be quite the selection!). It gives you question prompts and space to journal your own thoughts as you read and meditate on what God’s Word says about seeking His presence. 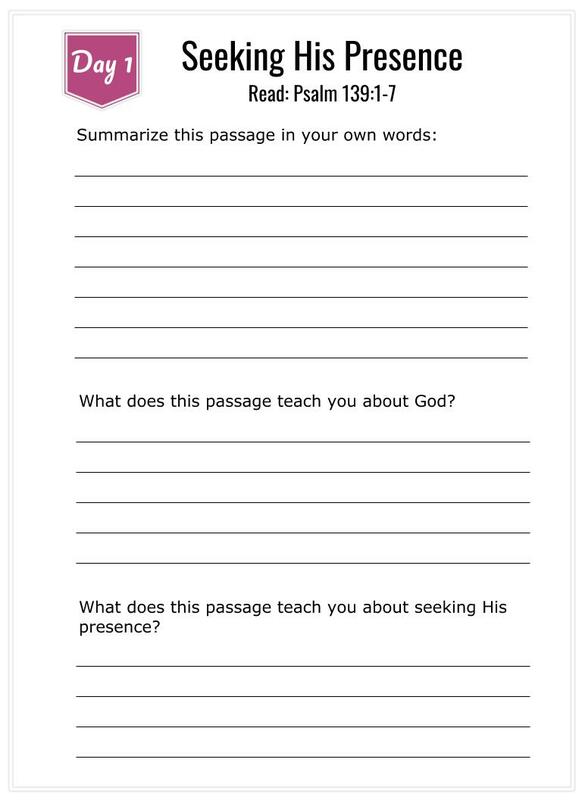 New to our Bible reading plan journals! We want to provide the best tools you need to hide God’s Word in your heart and seek His presence. Therefore, we’ve also added some scripture cards to the companion journal to help you memorize some key verses while you work through the 21-Day bible reading plan. Click HERE to checkout the Seeking His Presence Companion Journal. 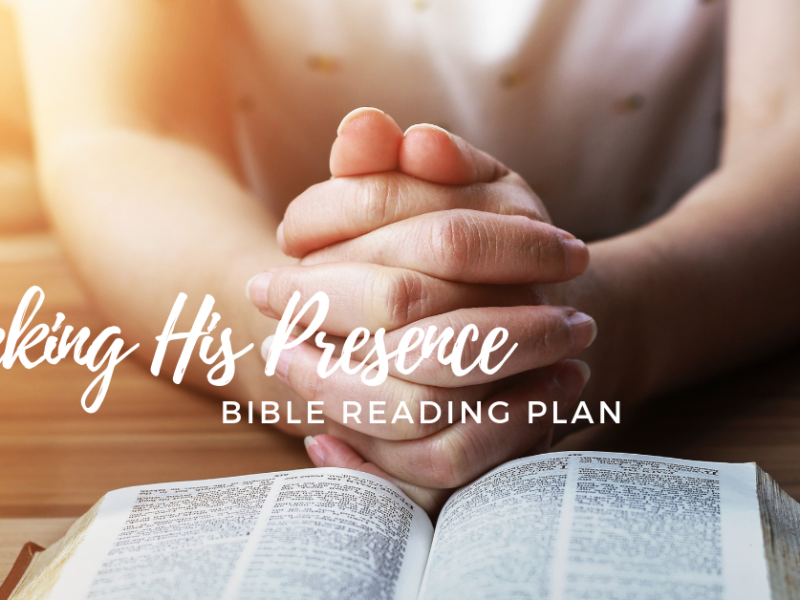 We are praying this Bible reading plan and journal companion will help you have a special place to record your thoughts as you quiet your heart and mind to read God’s Word and experience His presence.